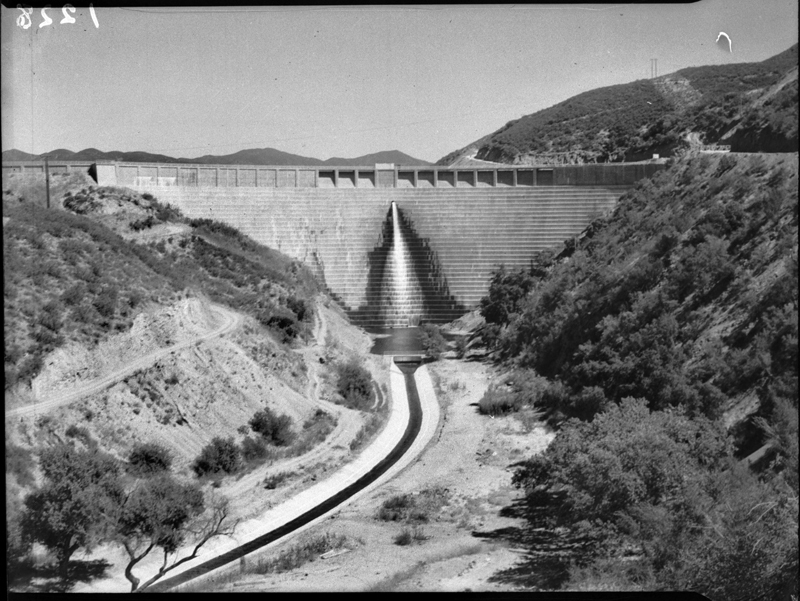 St. Francis Dam with water in forebay, 1927. LW2713: 19200 dpi jpeg from Automobile Club of Southern California collection in the University of Southern California Digital Library, Call No. : Negative Box 58 (8145).